Altra Capital’s infrastructure and real estate expertise builds on our strong capabilities in Project Management and we specialise in delivering services to the infrastructure and commercial property sectors. 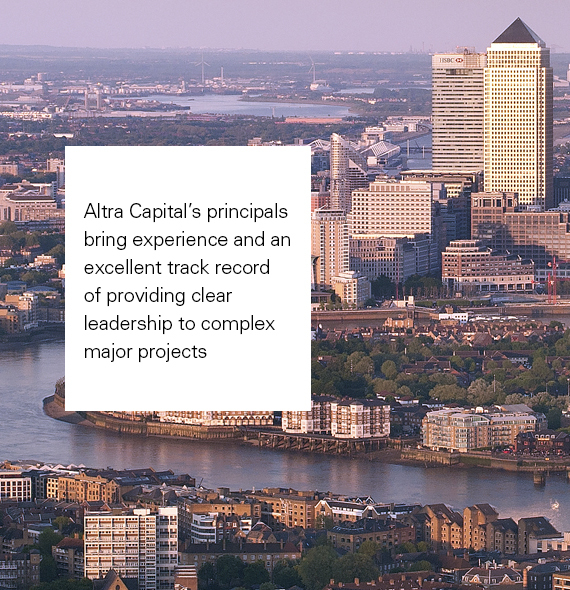 Altra Capital’s principals bring experience and an excellent track record of providing clear leadership to complex major projects involving many different parties, including clients, banks, lawyers, local authorities, contractors, designers, commercial partners, specialist suppliers, etc. We work with our clients to optimize their investment engendering confidence that projects are delivered on time, within budget and at the expected level of quality.